I recognise that it has been a very challenging year for Tusla. I strongly support their work and have been committed to resourcing them to meet the growing needs of vulnerable children and families. I have secured a higher increase for Tusla this year to make sure they are resourced for our key priorities in the years ahead. The additional investment will allow Tusla to recruit over 300 staff to respond to areas of identified risk and to meet increased demand for services. This includes resources for responding to expected increases in referrals following the introduction of mandatory reporting; management of unallocated cases and developing aftercare services. It will also allow for improvements in Tusla’s ICT systems and overall organisational structures, including governance. Additional funding for Tusla’s Out of Hours Service is aimed at enhancing the capacity and range of supports for out of hours social work services. Central to this is the planned integration of the 3 existing out of hours services into one national service with a national contact number, and the introduction of an out of hours call centre for foster carers. This development will ensure that all parts of the country have access to a social work service on a 24/7 basis. The additional funding will also allow Tusla develop capacity within the existing 109 Family Resource Centres and build on the strengths of the Programme, community counselling and psychotherapy services. 11 new Family Resource Centres will be established and family support hubs set up. 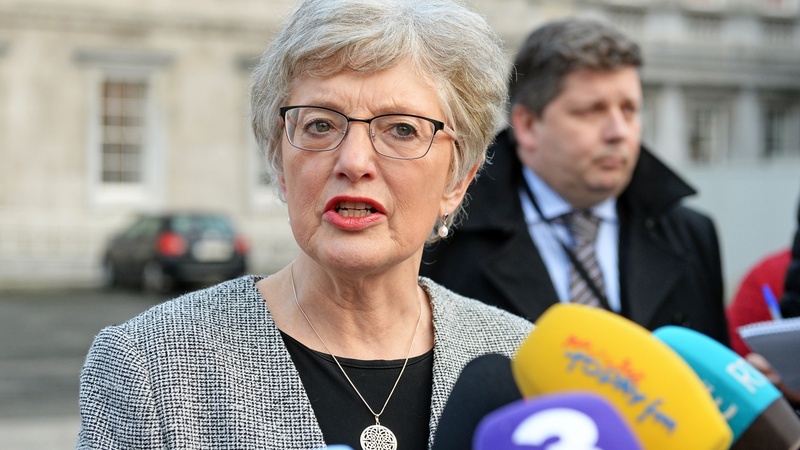 Minister Zappone acknowledged the work by Tusla in reducing the number of children awaiting the allocation of a social worker during a period that referrals to the services have increased. The additional funding in 2018 will allow Tusla continue to reduce the number of children without an allocated social worker and respond to the anticipated increase in referrals following the introduction of mandatory reporting. People reporting concerns to Tusla will now have their reports acknowledged thereby increasing confidence in the reporting process. This further enhancement delivers fully on a commitment in the Programme for a Partnership Government that is good for children, families and Early Years providers. Minister Zappone also announced investment to continue the childcare affordability measures she introduced last month. These affordability measures are already, in the first six weeks of the schemes opening, benefitting 45,000 children, with 24,000 of these registered so far for the universal under-3 scheme, and 21,000 registered for the targeted schemes. The additional funding will ensure that the door remains open for further children and families to register and benefit from these subsidies throughout 2018. In conjunction with this measure, Minister Zappone has also secured additional funding to ensure that providers are paid for the administration associated with these schemes on an annual basis. A total of €18m will be available in 2018 and thereafter to pay providers for the administration associated with these schemes and the ECCE scheme. A total of €2.3m was also secured for a range of initiatives including to further enhance the Early Years Inspection regime and to further address sustainability concerns being expressed by some community providers. Today is another milestone for Early Years Care and Education. High quality, accessible and affordable early years care and education benefits children, our society and our economy. The additional funding I have secured represents another big step and I am committed to continuing to seek the investment children, parents and providers need and deserve. We must continue to invest in our children and the Early Years workforce and I am delighted that, for two Budgets in a row, I have been able to take significant steps in this regard.